It’s a thrilling time of the year as we head towards the finale of the Flat season. QIPCO British Champions Day is well in sight, but before I can start getting excited about that, there’s the small matter of the Prix de l’Arc de Triomphe to negotiate. Personally, it’s a very special moment for me as it’ll be the first time I’m lining up in the great race and not watching it on the telly! You only have to look at the coverage this race gets across the globe to see how important it is. And it’s up there with the Investec Derby for me as one of those really special races in the calendar. I’m therefore thrilled to be given the leg up on Salouen by Sylvester Kirk and the owners. On paper he has a bit to do with the likes of Enable and Sea Of Class, but there’s plenty of positives going into this that he can run a big race. Everyone will remember his performance at Epsom in the Investec Coronation Cup where it needed every ounce of Cracksman‘s class to get past him- eventually Salouen went down by a head. That was a sublime run against a top draw opponent. The draw is also a positive coming out of Stall 7, with red-hot favourite Enable drawn in 6. It’s a big field and we’ll need all the luck in running but it’s a great opportunity and I cannot wait to ride him. Enable is the one we all have to beat having put in a sublime comeback performance beating Crystal Ocean the way she did at Kempton. Mr Gosden said she’ll come on plenty for the run and looks like she’ll be back to her best, if not better come race time. What a treat it’ll be for the fans to see her race on Sunday! Elsewhere on the card I have some really exciting rides. 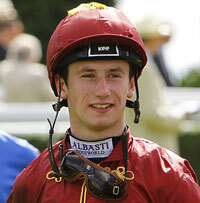 None more so than in the Prix de l’Abbaye where I ride Doncaster winner Soldier’s Call for Archie Watson. The talking horse in this race will be last year’s winner Battaash. If his head is right he’ll be a difficult adversary to beat, but the 18lbs we receive here is quite considerable and levels up the playing field a bit. I thought his performance at Doncaster was top class and I really think he’s got a great chance of winning. In the Prix de l’Opera I ride Desert Diamond for Sir Michael Stoute who I have won on twice. On form it’s a very open Group One and I know Sir Michael wouldn’t be running her if he didn’t think she had a chance. It’s a maximum field so we’ll need some luck, but it’s a great honour to be riding for Sir Michael and owner Prince Khalid Abdullah. In the Qatar Prix Marcel Boussac I ride Dubai Beauty. I loved riding her on debut when winning at Newmarket. She ran a little disappointingly at Doncaster last time but might have had her excuses that day and I’m intrigued to see how she gets on here. 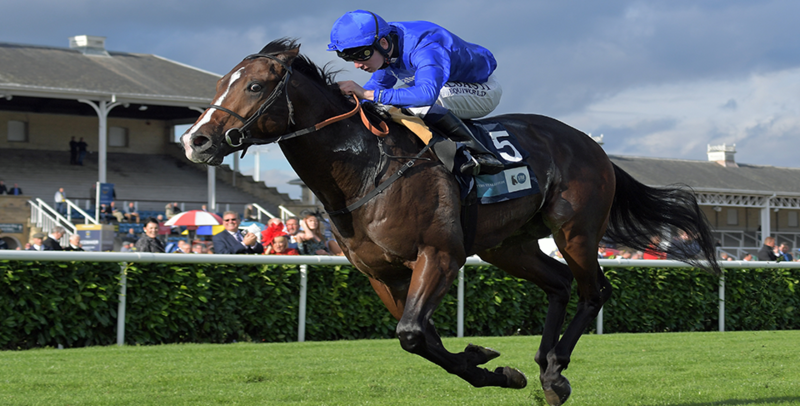 Royal Marine is another Saeed Bin Suroor two-year-old I ride on Sunday in the Qatar Prix Jean-Luc Lagardere. He was really impressive at Doncaster, he does have to step up, but I can see him running a big race.